We know the journey to being a great teacher doesn’t end after your 200 hour teacher training. We at Samudra are committed to providing opportunities for personal development, growth, and for honing your teacher voice. The below offerings all qualify for CEUS through yoga alliance and are designed to help you explore, expand, and enrich your journey on the teaching path. Fine tune your teaching voice; learn how to structure and lead yoga classes that feel authentic, inspiring and FUN! For new AND experienced teachers – after this two day workshop, you will walk away with skills you can action immediately in your next class to make you feel stronger and more authentic as a teacher. Theming – What leaves a lasting impression on students goes much beyond how good a workout you gave them. Explore and practice ways to weave a theme into your class in a powerful and yet subtle way. States of Relaxation – We’ll explore how to start and end your class in a mindful way that will have your students floating out and ready to schedule their next class. Over the course of the weekend, we will explore how to use your own personal voice, experience, and passion to create classes that leave a lasting impression on your students. Leave with new tools to infuse into your classes – new language authentic to you, meditations and guidance skill, and confidence and freshness. You’ll leave feeling like you’ve re-booted your teaching, and with tools you can put into practice immediately in your classes. All teachers will have the opportunity to receive feedback from the group if desired, and one followup check in with Sarah after the weekend has completed. Class size is limited to keep attention and feedback time on individual teachers. Your $50 deposit saves your space. Balance is due 3 weeks before intensive begins. 9 CEUS available for yoga teachers. Workshop led by Sarah Spiegel Dunn: Sarah has had a long time love of building and supporting community and enjoys creating connection and transformation for individuals and groups through classes, workshops, transformational retreats, and trainings. In 2016, she quit her 9-5 job to open Samudra Studio, which she has grown into a thriving community since then. Sarah completed her 200 and 500 teacher training with Fluid Yoga and Kevan Gale and Betty Riaz. She is a certified SPA Yoga® teacher and assists SPA Yoga® founder Betty Riaz with trainings both regionally and internationally. She has also studied and holds certifications in Restorative Yoga with Judith Hanson Lassiter, Thai Yoga Massage, and Yin Yoga and Meditation. Many of us start off a yoga practice with a focus on the physical movement. We may have read of its benefits or been told how good yoga is for strength and flexibility and can compliment any exercise routine. Often it takes years before we understand or fully appreciate that the milleniums old practice is a complete lifestyle and not just an exercise for the body. The Fluid Mind+Spirit weekend intensive is an ideal opportunity for those that have had a steady practice and want to understand more about the spiritual nature of Yoga. It will include a foundational understanding of mind training and the science of meditation. Our exploration will include the study of the Six Perfections (paramitas) as a gateway to living an exemplary life filled with generosity, patience, diligence, morality, meditation and wisdom. We’ll also learn more about the Buddha and his own journey and discoveries. This weekend retreat requires no pre-requisites or level of yoga practice. Tools for applying yoga philosophy to everyday life. If you’d like to join us from out of town we can help you find local accomodation in the beautiful Southern Maine area. Fluid Mind and Spirit is a part of the Fluid Yoga® 200-hour Teacher Training. This module can be taken on its own for enrichment purposes and is open to yoga teachers and non-yoga teachers alike, or in conjunction with the remaining teacher training weekends and Fluid Body Alignment Training. Kevan Gale, E-RYT 500, believes that liberating happiness can be found when we open ourselves to mind training, the dharma, and a life built on gratitude and love. 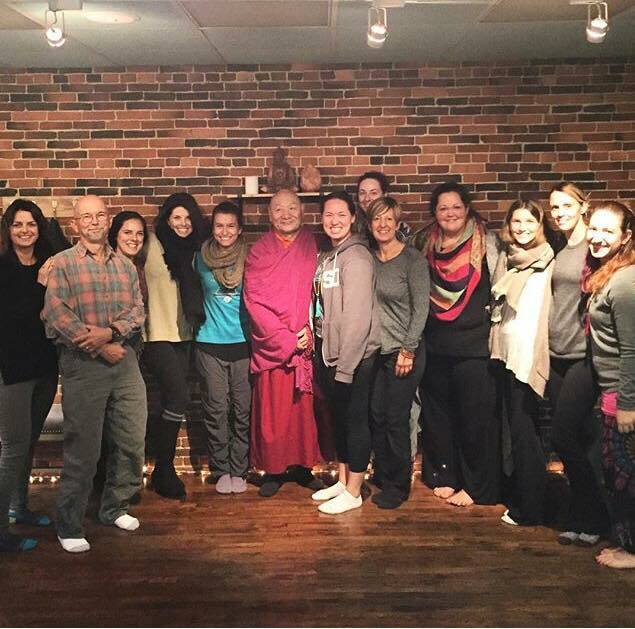 Kevan’s dynamic classes are a study in meditative movements and philosophies of the Tibetan Yogis. 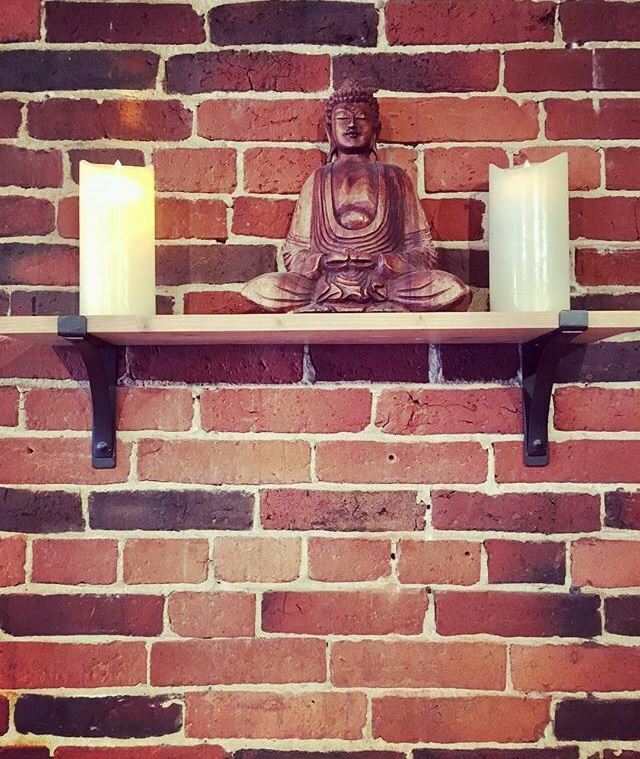 He is co-owner of Stil Studio in greater Boston, creator of Fluid Yoga an avid cyclist, photographer, and father.